Within the framework of the sporting competitions held by the Egyptian Universities’ Sports Federation (EUSF) for the Egyptian National Championship, Pharos University engaged in the organization of the Egyptian Universities’ Fencing Competition. Both state-funded and private universities took part in this competition which took place from March 26 to March 28, 2017 at Alexandria Fencing Club. All the participants praised the hospitality and the considerable organization of Pharos university in running the competition. About 55 male students and 52 female students from all the Egyptian universities took part in the competition. Mohaimen Magdy Khalf, a student at the faculty of Financial and Administrative Sciences at Pharos University won the third place bronze medal at the fencing competition. 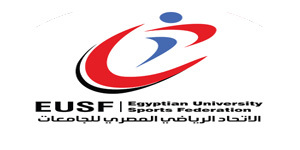 Meanwhile, Abdo Fahmy Abdo, a student at the faculty of Dentistry won the fourth place at the Bodybuilding competition which Pharos University also took part in, on the sidelines of the EUSF sporting competitions.